As humans, we have no other planet that can comfortably sustain us as we go on with our daily activities. Earth is the only planet where we can thrive. We have no plan B! As such, there is a necessity to take care of it and make sure everyone thrives for a better tomorrow. This line of thought prompted the United Nations to table the Sustainable Development Goals back in 2015. 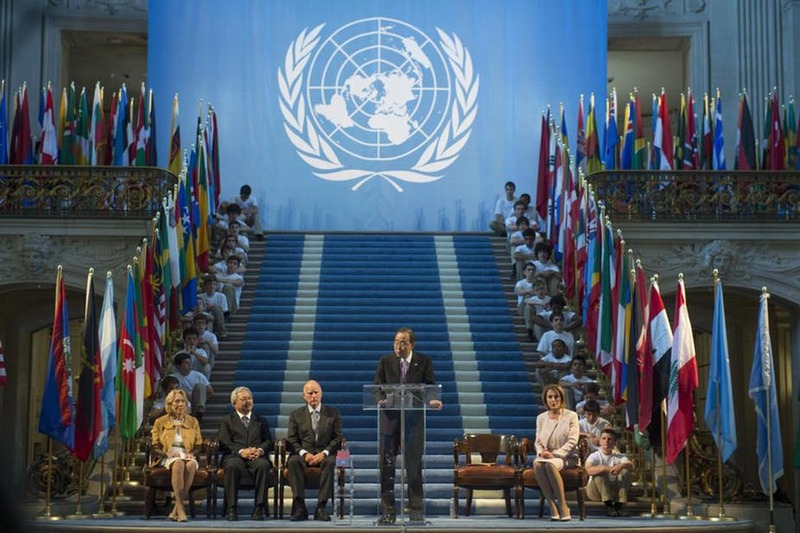 The result was that 193 nations of the United Nations General Assembly agreed to join hands to transform the world by 2030. The United Nations set out 169 targets which narrow down to 17 goals. The targets are to end poverty in all corners of the world, promote sustainable agriculture to end hunger and archive food security, promotion of good health, achievement of gender equality and reduction of income inequalities, conservation of aquatic life and marine resources, and promotion of education among others. UN agencies took an extra step of opening the door to anyone who wished to be part of this crucial program by coming up with a campaign called �Project Everyone.’ This initiative was supported by international organizations and corporate institutions. Its aim is to include, educate and encourage who wished to be part of the program. Many young leaders took advantage of this chance and came forward with numerous projects all of which help achieve the 17 goals in one way or another. Strategic planners, social entrepreneurs, economist, climate change enthusiasts, the list is endless. Let’s take a look at 5 young leaders making a difference in the world. Mr. Khanal, Bean Voyage’s co-founder has a keen interest in sustainable development. He believes that to achieve it, we must start at grassroots levels and involve people in community-owned projects. His organization supports female coffee farmers. His experience has made him aware of the importance of involving everyone in effective achievement of various development objectives. He strongly believes that economic growth and environmental protection can successfully be achieved without sacrificing the other. He attributes his success to entrepreneurship which equipped him with skills for solving complex issues. Ms. Woldehana is a health and environmental enthusiast. She is the general manager and co-founder of Drop of Water, a nongovernmental organization that promotes awareness about clean water. Growing up, she never thought access to clean water was an issue to many people since she was privileged to have access to clean water. Her perspective changed when she saw people fighting for dirty water. She took it upon herself to change this situation and gathered a group of young people to help her supply clean water at Mekelle University. Since then, her organization has spread wings to most parts of Ethiopia championing for the promotion of the supply of clean water among Ethiopian citizens. Ambitious Chirag is Project Chirag’s global ambassador. He believes in empowering people to unlock their full potential. His mantra is that money isn’t always the main thing that creates opportunities, instead, thoughts and ideas do the trick. His interests are in upholding human dignity and rural development. He achieves this by helping the underprivileged have access to solar lighting. He also champions for the care of the elderly, orphans and women around India. Mr. Ekponimo is the CEO and founder of Chowberry, an organization which focuses on providing affordable sources of nutrition. Growing up, Mr. Ekponimo went through a phase where he lacked sufficient nutrition. Since then, he has done everything he can to ensure other people do not go through the same. His organization has built a cloud-based service that provides the means of managing and prolonging foods’ shelf-life. This goes a long way to make sure that consumers eat safe and healthy foodstuff. He also teaches students how to tackle malnutrition and hunger. Mr. Mwakima is keen on reducing youth unemployment and protecting the environment. He works with Wildlife Works to protect over 500,000 acres of threatened forests. He realizes the importance of forests and the role they play. He also educates people around his areas about climatic change and its effects, promoting social awareness about conservation of land and its resources.